EMEA channel and partner development head, Jorgen Nordin, points out the devices would not be useful without the people wearing them. “Wearable products talk to each other and have the potential to make it easier to navigate the Internet of Things,” he said. Nordin said the Internet of Things can be used to make people's surroundings more personalised. One possible mplementation he highlights is in a house, where it knows who you are based on the wearable device being worn. The house would then set itself to user preferences, such as lighting, music, and thermostat. Jawbone, an audio technology company headquartered in San Francisco, has been activate in the connected devices space for close to a decade. Its latest product, the Up24 wrist band, gathers data from the background, such as movements and sleep, and uploads it into the Cloud. The data is then crunched at a datacentre and Jawbone uses it to send actionable information to users. “People always have intentions to live healthier, but the gap between the intention and action is big,” Nordin said. To get users from their intention to action, Up24 provides insights into how the users are living. “Small nudges and suggestions are there to push you in the right direction,” Nordin said. 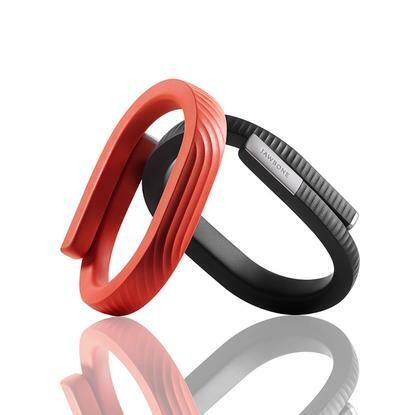 Products such as Up24 means Jawbone is gathering a lot of data from users. The company has already recorded more than six billion steps, 60 million nights of sleep, and 10 million user interactions with partner app that connect with the Up24 platform. Nordin said the company also has a data science team that is working very closely with all of the data. “We hired the head of data from LinkedIn, and she has hired five PhDs in data science,” he said. This team is responsible for looking at correlations in the data, as well as how it can be fed back to the end user in an understandable and actionable way. The original Up devices brought in data from the US, though Nordin said the global launch of Up24 will bring data from a global demographic to show country specific trends.